Meet Callum! He is one of our master’s students and he's from the United Kingdom. After completing a financial degree in his home country, Callum traveled to the States to coach high school soccer, but his purpose here quickly changed. During his time coaching, he expanded his connections in the nonprofit sector, leading him to his current role as the Associate Director of Development for the School of Global and International Studies at Indiana University. 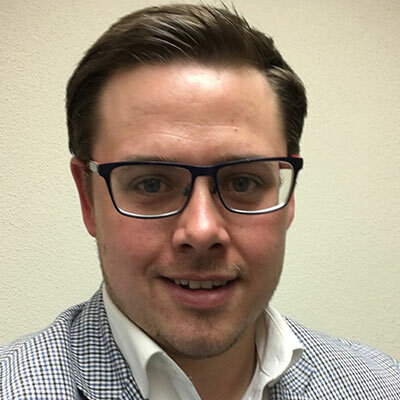 Prior to his current position in development at Indiana University, Callum served as the Associate Director of Personal Giving at Trinity University in San Antonio, TX. Through his position at Trinity, he was able to raise scholarship funds for students, something he finds immensely important since he received his financial degree with the help of scholarships. Callum chose the Indiana University Lilly Family School of Philanthropy because of the flexibility of the schedule and the prestige of the school; Callum believes the school offers the best philanthropy degree in the world. He says that enrolling in philanthropic studies allows him to improve his fundraising skills. Because of the course flexibility, he is able to work full time while earning his executive master’s degree. His favorite professor is Debra Mesch, director of the Women's Philanthropy Institute. Mesch’s class allows him to explore the importance of women's impact on philanthropy. His recommendation to international students is to complete an internship. Callum is an advocate for internships because it allows one to utilize the content learned in class to solve a real-world problem, accumulate work experience, and make connections with others. “The more connections you have, the more opportunities you can potentially get,” he says. Callum believes that the Lilly Family School of Philanthropy can deepen the understanding of philanthropy and enhance fundraising skills.